Taking place from 13-19 August, The Fowey Regatta is a week long celebration of sailing with a packed calendar of events. Each year a carnival procession parades through the narrow streets of Fowey, featuring visitors and locals in a wonderful show of costumes, along with plenty of highly entertaining attractions such as a giant pasty ceremony, a fun run, harbour swimming races, a flora dance, gig racing and a crab catching contest. The Regatta also has daily live music performances on the Town Quay and fireworks on the first and last night, making it a spectacle that must not be missed. This year we’re also very excited to see the return of the world-famous RAF Red Arrows, with a highly impressive display over the estuary. 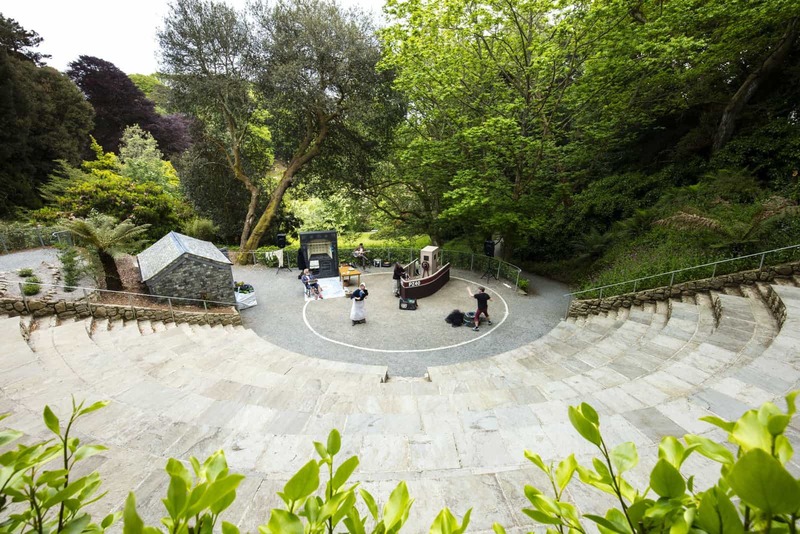 Housing a glorious garden and its very own amphitheatre, Trebah Gardens has become a cultural centre in Cornwall, hosting and producing an exciting mix of theatre, music, stand-up, comedy and dance both on the open-air stage and throughout the gardens. Performances take place at various times throughout the day, with morning, afternoon and evening shows, and food is available from the Trebah Kitchen, although guests are welcome to bring their own picnics if they wish to. Some performances are included with an entry ticket to the garden, whilst some have an additional cost, so be sure to check before you go. Bearing in mind the venue is open-air and the trails to the amphitheatre are garden walkways, guests are encouraged to wear appropriate clothing, and performances may be cancelled in extreme weather conditions. The small fishing village of Polperro truly comes alive for a week of festivities at Polperro Festival, with workshops, processions, a bake-off, comedy, and a dog show providing a wide range of entertainment, with multiple fetes in which to find a great souvenir or gift. Cornish comedy genius Kernow King will be providing the laughs on Wednesday 22 June from 8pm, and music greats Mad Dog Mcrea, Black Friday and Land of The Giants will be playing their impressive sets over the course of the festival. 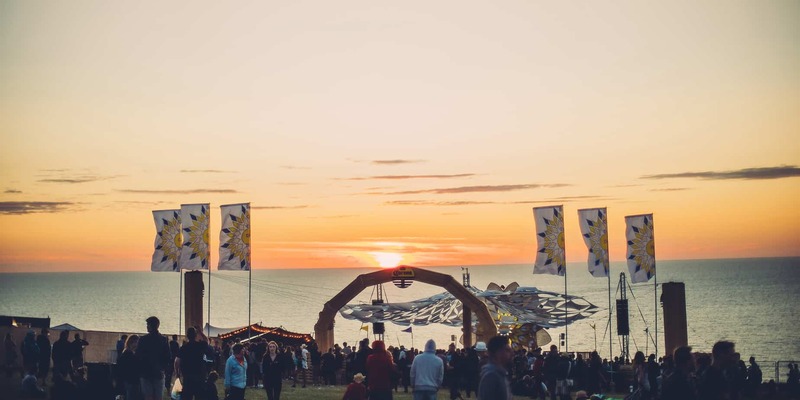 From 9 to 13 August, music and extreme sports festival Boardmasters will be returning to Newquay on the north coast of Cornwall, with huge names in music gracing the festival’s multiple stages which sit atop Watergate Bay’s cliffs. 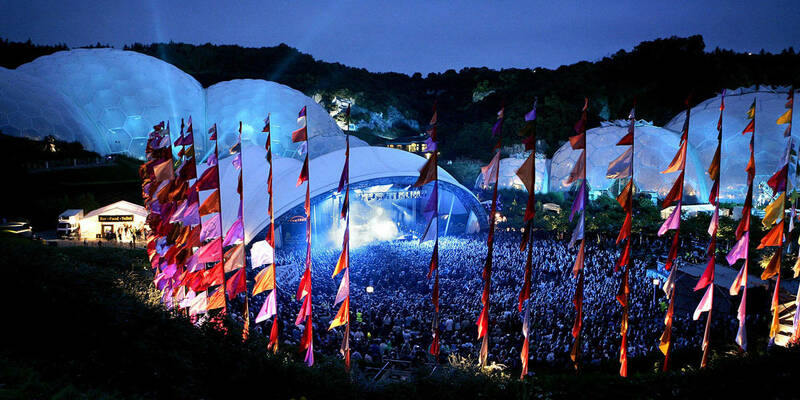 Boardmasters is hugely popular for locals and visitors alike, and the headline acts get bigger and better every year. This year’s line up features Two Door Cinema Club, Jamiroquai, and Alt-J, along with plenty more huge names. The event also hosts multiple extreme sport competitions, which are all held on Fistral Beach and are completely free to attend. Between the 25 June and 1 July, Mevagissey Feast Week will be filling the beautiful Cornish village’s narrow streets with exhibitions, demonstrations, food, live music and an impressive carnival procession with performers in various forms of fancy dress. The event has successfully continued every year since 1754, deriving from a religious festival celebrating the patron saint, St Peter. This summer the event promises to be better than ever, with performances from choirs and bands, flora dances, boat and raft races and a huge firework display to top it all off. 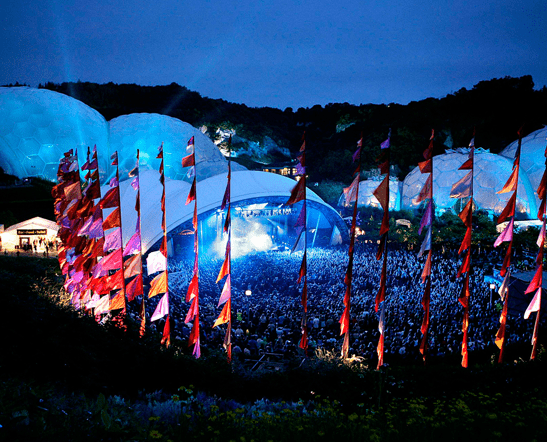 Set within the impressive grounds of the Eden Project, the Eden Sessions host some huge names in music, previously boasting performances from Elton John, Paloma Faith, Spandau Ballet, Ben Howard and Amy Winehouse. Throughout this June and July, Blondie, Bastille, Van Morrison, Bryan Adams, Foals and more will be gracing the stage, with tickets starting from £40 per person. Before enjoying the music, guests can explore the beautiful garden trails and towering biomes as part of the experience, with ample opportunity to enjoy delicious food from Eden’s kitchen and sip on a drink from the plentiful bars. From Saturday 22 July to Friday 28 July, Charlestown Regatta Week will be taking over the historic port of Charlestown, with a jam-packed itinerary of entertainment and fun, including a knobbly knees competition, raft races, water polo matches, live music and a grand carnival procession. The event kicks off with a challenging triathlon at 11am on Saturday 22 July, comprising of a 200m swim, a four mile cycle and a two mile run, after which a medal and t-shirt will be awarded to all participants. The regatta raises money for a great range of worthwhile causes, including the village’s Christmas lights and maintenance of a children’s play area.